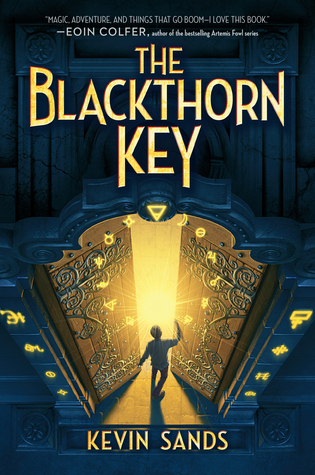 Christopher Rowe, apprentice to Master Apothecary Benedict Blackthorn, is learning all his master’s secrets—like how to decipher complex codes and puzzles, and how to transform simple ingredients into powerful medicines, potions, and weapons. Aided by his best friend, Tom, Christopher must race to decipher his master’s message—and follow a trail of deceit toward an unearthly secret with the power to tear the world apart. "Let's Build a cannon," I said. Tom wasn't listening. He was deep in concentration, tongue pinched between his teeth, as he steeled himself for combat with the stuffed black bear that ruled the front corner of my master's shop." The writing, plain and simple. You can see from the very opening lines that you are in the hands of a master. The cadence of the sentences is perfect; each word is perfectly chosen. Think "steeled for combat," rather than "ready to fight." And the bear "rules" rather than sits or anything else. In a bare three sentences, I am primed for good stuff. The characters. Christopher, the apprentice apothecary, and his friend Tom are likable, ingenious, and intrepid. The setting. London in the 1660s. King Charles II has seen the monarchy restored to the throne after the years of Cromwell. Sensory details. Sands gives us London in all its stench: "It was swelteringly hot in the noonday sun, and the piles of animal dung clogging the drains let off the worst stench London had smelled in years." (Page 29) This is followed by descriptions of chamber pots and their contents, hackney coaches clattering over cobbles, and the scent of musk from horses. This is a speedy, heart-pounding read. One of the best books I read last year, and a worthy winner of the Cybils' award. Show and Tell Storytellers' Video Featuring... ME! I've been blessed by many creative friends over the years, and am married to an extremely creative woman. These creatives are blessed with multitudinous abilities way above my own. They write, do calligraphy, draw, make art, make music, and come up with idea after idea. We have a couple of projects in the works--which we hope to get to once Jesse's current project stops being so time-consuming. But in the interim, Jesse decided it might be fun to video me talking about storytelling. So, here I am, warts and all. If you have a spare 7 or so minutes, I'd be honored if you'd give this a listen and tell me what you think. This was one of the titles for the 2016 Oregon Battle of the Books, 3rd-5th grade. The fifth-grade girls and the fifth-grade boys at Laketon Elementary don't get along very well. But the real problem is that these kids are loud and disorderly. That's why the principal uses her red plastic bullhorn. A lot. Then one day Dave Packer, a certified loudmouth, bumps into an idea -- a big one that makes him try to keep quiet for a whole day. But what does Dave hear during lunch? A girl, Lynsey Burgess, jabbering away. So Dave breaks his silence and lobs an insult. And those words spark a contest: Which team can say the fewest words during two whole days? And it's the boys against the girls. How do the teachers react to the silence? What happens when the principal feels she's losing control? And will Dave and Lynsey plunge the whole school into chaos? Dave Packer was in the middle of his fourth hour of not talking. He was also in the middle of his social studies class on a Monday morning in the middle of November. And Laketon Elementary School was in the middle of a medium-size town in the middle of New Jersey." "I give it 4 and a half stars, because it's about school and it's funny. I liked the competition between the boys and the girls. My favorite characters were Dave and Lynsey. I didn't give it five stars because sometimes I felt it was confusing--the teachers thought the 5th grade was noisy, but they got mad when the fifth graders stopped talking. It’s 1934 and the Great Depression is hitting the Johnson family quite hard in Wisconsin. Terpsichore, “Trip”, is doing her best to provide for her family after her father loses his job at the mill. With her whole town turning to relief, President Roosevelt has provided them with an option—to become settlers of a New Deal Colony in Palmer, Alaska. Trip tries to make the best of her new living situation by channeling her idol, Laura Ingalls Wilder to embark on this grand adventure. Pro: No homework for kids who have to plant crops with their families. Con: No libraries or radios to entertain each other with after a hard day’s work. Pro: Making a new stake in virtually untouched land. Con: Scarlet fever epidemics. As they face the hardships of turning tents into barns, can Terpsichore and the other two hundred families find their place in the new colony? "It was because Terpsichore was the only unmusical Johnson that she dragged a hatchet across the yard toward a pumpkin as big as a pickle barrel." Great portrayal of family bonds and friendships. Insight into both the Great Depression, and the fact that FDR had a program to resettle hard-hit families from the midwest to Alaska. The additional material at the back of the book, including a recipe for Jellied Moose Nose. 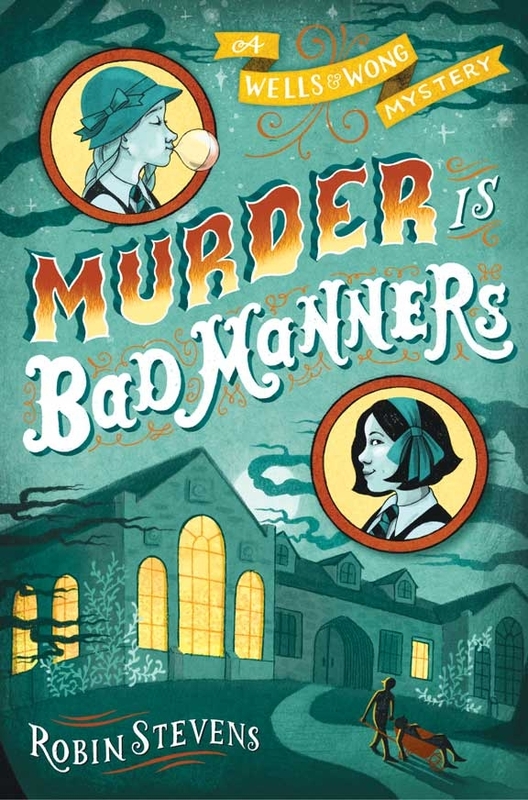 I had the pleasure of asking Carole Estby Dagg my middle grade mafioso questions! Avi, Gennifer Choldenko, Karen Cushman, Karen Hesse, Jennifer Holm, Kirby Larson, Lois Lawry, Patricia MacLachlan, Katherine Patterson, Richard Peck, Caroline Starr Rose, and Jacqueline Woodson. Like Terpsichore in my Sweet Home Alaska, I don’t like that bedside stack to go below at least three. And six is better. Pick a favorite scene from your novel, and say why you like it. I love happy endings, including the one in Sweet Home Alaska that has friends and family working together and learning to appreciate diverse skills and personalities, reuniting long-ago sweethearts, and concluding with a hearty sing-along. weaving. I won Best of Show at the county fair a few years back. 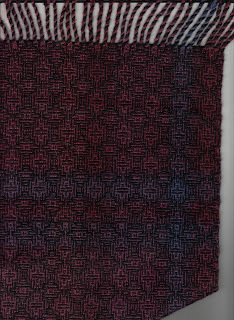 Here’s a picture of a shadow weave silk and wool scarf I wove for my daughter. French toast with strawberries, but I usually settle for Fiber One cereal topped with fruit and nuts. If you could visit any place, where would it be? It would be Hill Top Farm in the Lake Country of England, where Beatrix Potter lived. I’ve also always wanted to visit Prince Edward Island, where Anne of Green Gables takes place. Carole Estby Dagg was born in Kansas City, Missouri, and has lived in Washington, Idaho, and British Columbia. She has degrees in sociology, library science, and accounting. She spends most of her time writing and reading, but her real-life adventures include tiptoeing through King Tut's tomb, sandboarding the dunes of western Australia, riding a camel among the Great Pyramids, paddling with Manta rays in Moorea, and smelling the penguins in the Falkland Islands. She is married with two children, two grandchildren. Her son lives in Palmer Alaska, and that is what inspired her to write this story. "This is the first murder that the Wells and Wong Detective Society has ever investigated, so it is a good thing Daisy bought me a new casebook. The last one was finished when we solved The Case of Lavinia's Missing Tie." Maybe because I went to an English boarding school between the ages of 9 and 17, (although my experience was in the 1970s, rather than the 1930s) I thought the author got so many things about boarding school right. The slang. The overbearing manner of the prefects and senior students to the younger. The fascination and repulsion about the teachers. So much humour. Of all the Cybils nominees I read, this one elicited the most chuckles. The relationship between Daisy and Hazel. Daisy is the daughter of a lord, and Hazel is from Hong Kong. Both are extremely intelligent, but Daisy does her best to appear "thick." Hazel is soon on to her, though, and they join together to start the Wells and Wong Detective Society. A fabulous supporting cast, of both students and teachers. Each one had a quirk which helped solidify them in my mind's eye. I had the great good fortune to be able to ask the author, Robin Stevens, my notorious Middle Grade Mafioso questions. She's a "good egg," as one of her characters might say. The scene from Murder is Bad Manners where they sneak into the school at night, alone, to recreate the murder - and then see someone else's flashlight in the distance - was one of my favourite ever to write, and still gives me the shivers when I think about it! 4) Fill in the blank: I'm really awesome at.... reading. I can go at super-speed if I need to - I used to work as an editor and it was very helpful! 5) My favorite breakfast is... I discovered poached eggs last year, and it was a major revelation. Where have they been all my life? She spent her teenage years at Cheltenham Ladies’ College, reading a lot of murder mysteries and hoping that she’d get the chance to do some detecting herself (she didn’t). She then went to university, where she studied crime fiction. 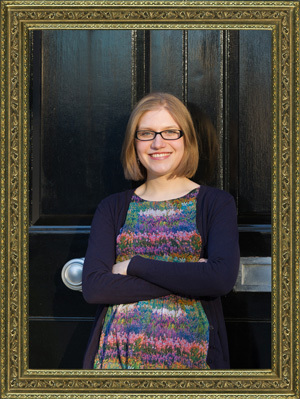 Robin now works full-time as a writer and lives in London with her bearded dragon, Watson.